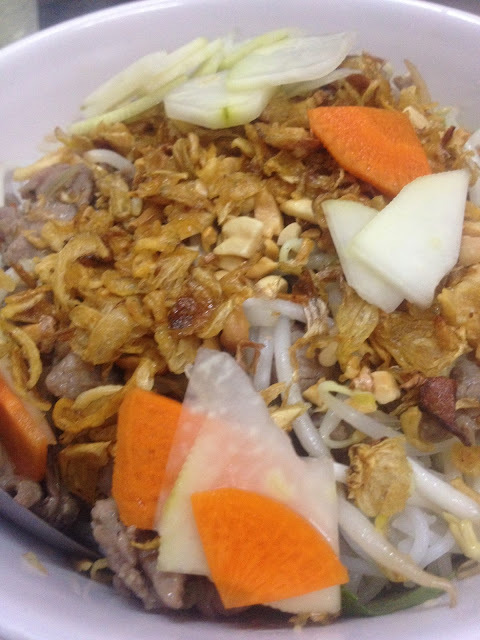 Lonely Planet lists Vietnam street food tour as the best walking tour for globetrotting foodies. 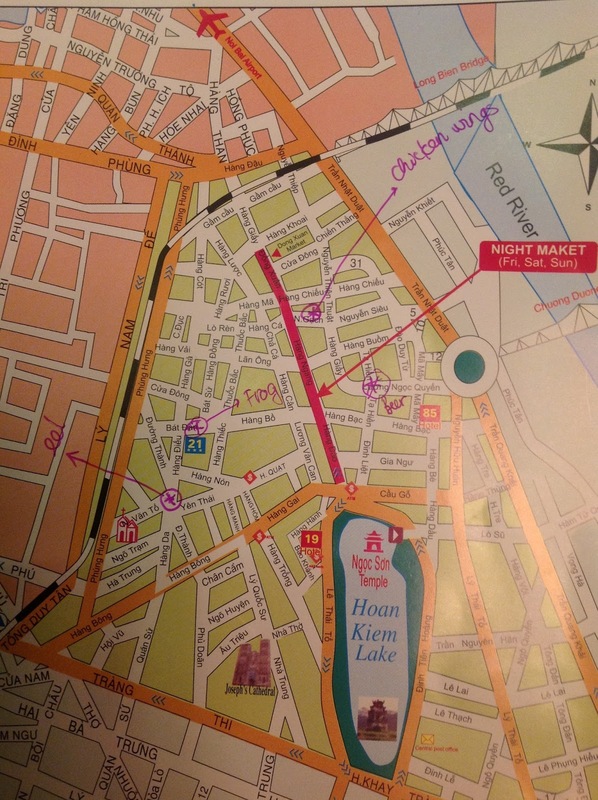 Glad we included a guided walking tour in the itinerary of our recent Indochina backpacking trip. We booked our tour with Vietnam Awesome Travel, which got great reviews in Trip Advisor. Our tour guide was Trang. Her energy was infectious, which is exactly what we needed after a full day of exploring Hanoi. She began by saying "sidewalks are for everything - parking, eating, cooking except walking." 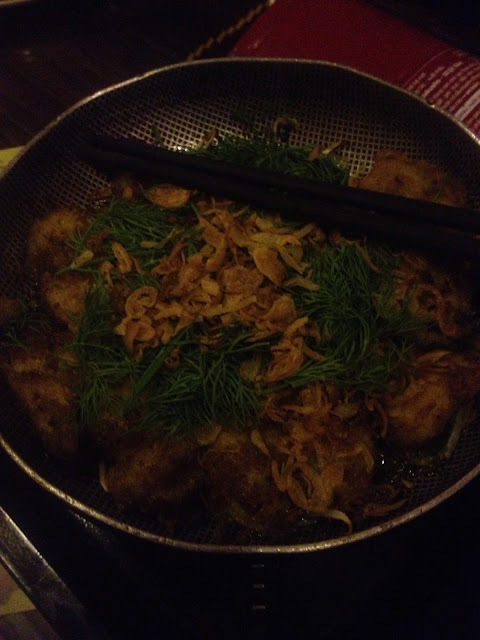 With that we began exploring the streets of Hanoi for the best food finds. First stop was this place that serves Mien Tron. Mien Tron is a flavorful combination of Vietnamese mint, cucumber, vermicelli, bean sprout and crunchy eel. It was served with soup, which was supposed to be taken last, not combined with it. Calamansi and chili were also available. What can I say? Ngon! Ngon means delicious. 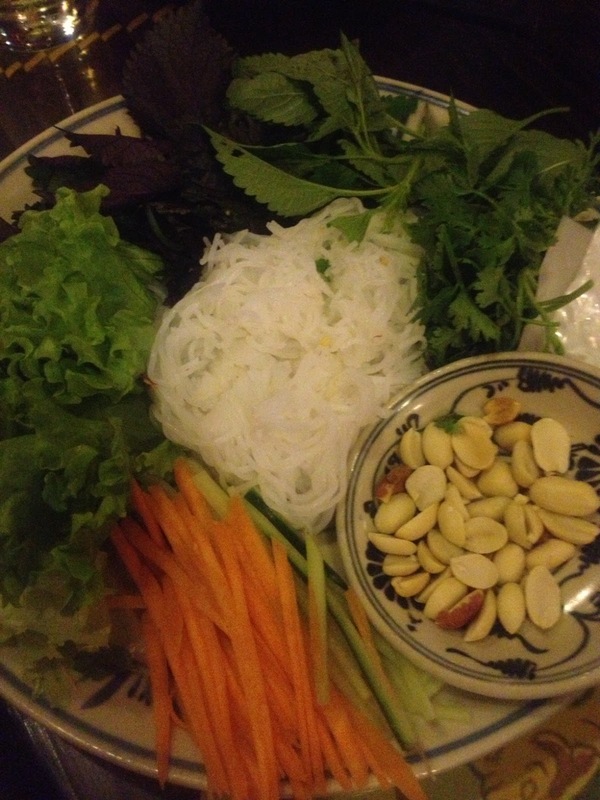 Trang explains that the best food in Hanoi is family food or street food. The families or shop owners mostly live upstairs and are assisted by relatives from the province. After that, we walked to our next stop where we had ugly fruit, snowy ball cake or floating cake and sugarcane juice. Snowy ball is very much similar to Filipinos' palitaw. Our next stop was southern style beef. Bun Bo is beef noodle, which has flat noodle and fried beef cooked for long hours with sauce, no soup. It also has lettuce, bean sprout, carrots, nuts and shallots. Vinegar and chili were served on the side. 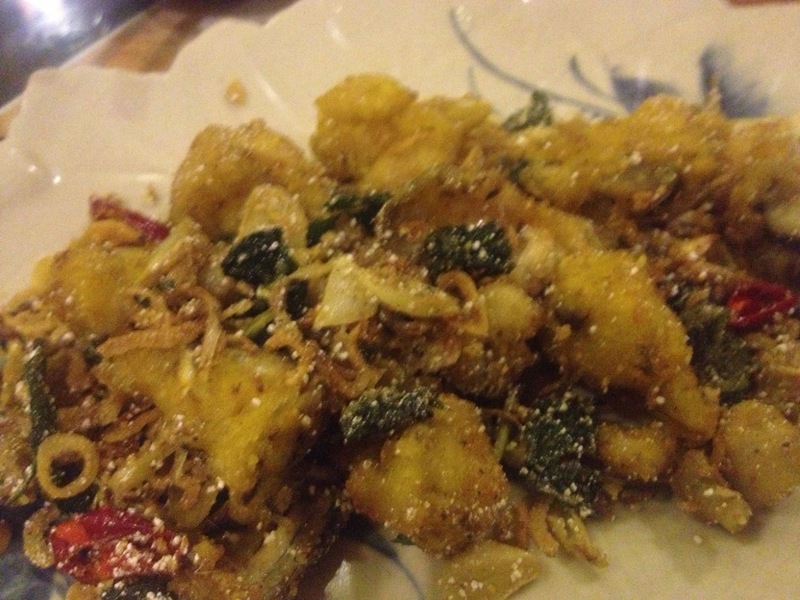 Then, we went to Countryside Cafe and Restaurant, which serves exotic dishes. 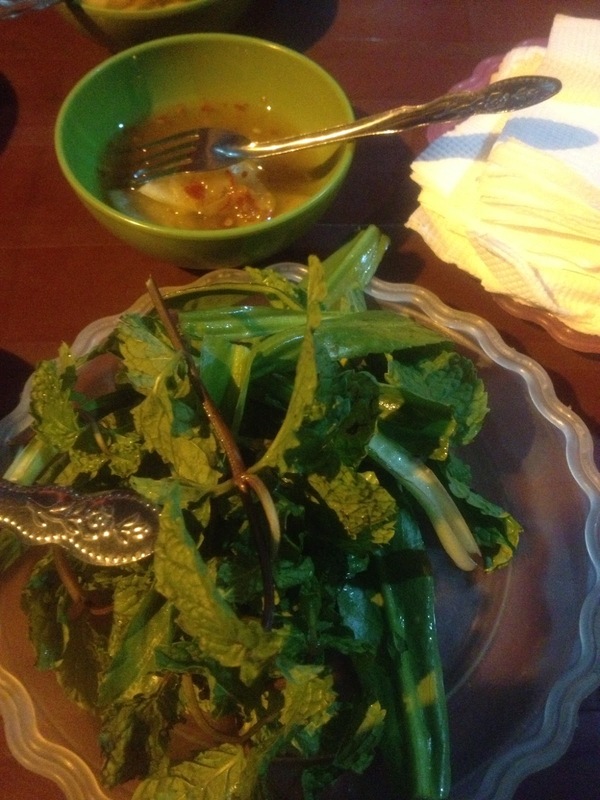 We had frogs sautéed with roasted rice, betel leaf, garlic, shallots, chili and salt. There were guys having beer and cigarette on the street. Couldn't resist. I ordered beer. 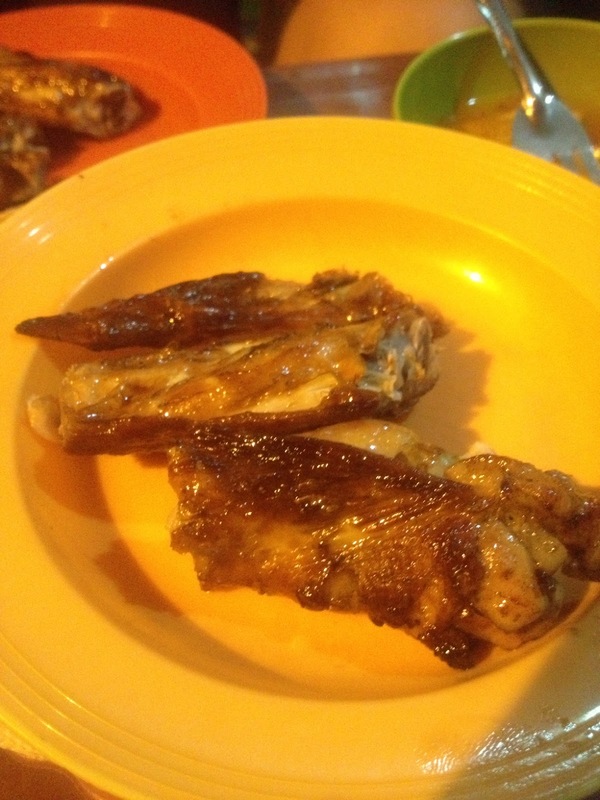 I was already full after those 4 stops, but the next was just irresistible -- barbeque chicken. I must admit. Hanoi's chicken is also so good. 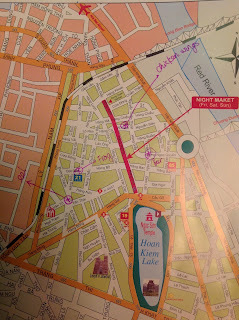 For first time Hanoi tourists, the streets can seem a bit chaotic and difficult to navigate but Trang thought us that most Hanoi streets are named after their specialization. I didn't care that we passed through dark alleyway just to get there. She taught us how to say cheers. then we say Zo and lift our bottles or glasses. Then say Uong and drink! That was fun. Anyway, I came armed with a huge appetite but after beer street, I thought I would not be interested anymore in food. Well, at least for that night. But, I was wrong. Trang saved the best for last. We made our own summer roll with Snake head fish Marinated with fermented rice, shrimp paste, galangal and turmeric that was kept in the fridge for one to two hours then grilld with dill and onion. We added cucumber, carrots, greens (lettuce, coriander, basil), noodles and purple mint. This was dipped in nuoc cham, which was made with fish sauce, vinegar, fresh water, sugar, chili and garlic. One word to describe the experience was happy and so, we end the tour with Happy Water or Ruou dua, which is rice left to ferment inside a coconut. It was truly our tastiest day in Hanoi. 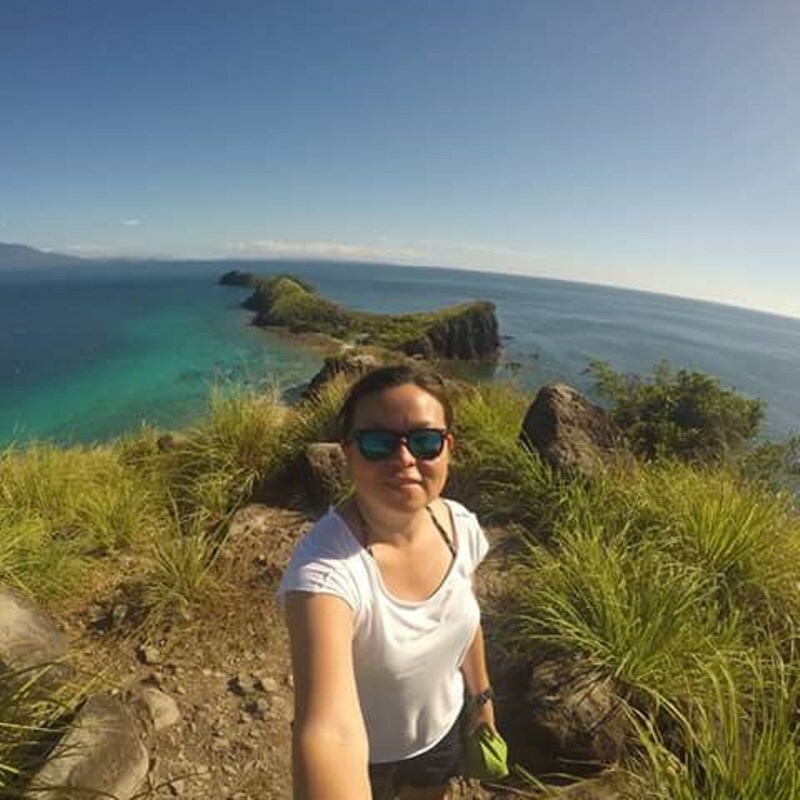 Thanks to Trang and Vietnam Awesome Travel!